OMG Posters! » Archive Jeff Soto's "Savior of Nature" Giclee - OMG Posters! 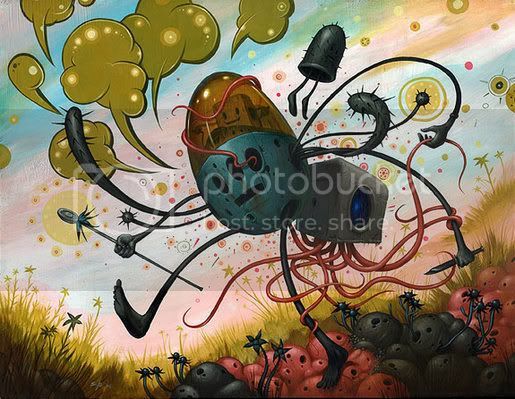 This print is just awe-inspiring.� It is, without a doubt, one of the prints out right now that I would most like to own.� This is a beastly 29″ x 23″, huge in terms of giclees.� At $450, it is a bit out of some people’s price range.� Then again, it’s a massive Jeff Soto giclee, and there are only 50 of them, so overpriced it is not.� To purchase, visit Soto’s site.